It would be quite surprising to know the fact that Renault SUV which has been taken from Romanian ally Dacia has just hit the mark of 4,00,000. Yet 4,00,000 unit just rolled out and the owner's happiness may not be knowing any bounds. Duster as per its name, has muscular looks and power delivery is just what you want demand. With Renault Duster, the French auto maker is simply looking to have a twist of fate in the Indian auto-market. The car makers like Tata and Maruti-Suzuki are already hopping the 5-6 digits sales figures, the French automaker is too looking for the same, with 4 digits currently, at its sales charts. Duster was the first SUV by the Romanian automaker, Dacia. Came year 1999 when Renault owned Dacia as its fully owned subsidiary. Duster made its appearance in 2009 and by 2010 it became avoidable in whole Europe. Duster is sold under Dacia badge, Algeria, Turkey, Jordan, Morocco, Ukraine, Syria, Egypt and Lebanon as well. As per the Renault Duster Features, the car has been built on Logan platform, the car will have length of 4.31 metres. Just a little short than its sibling Koleos by 1.82 metres. When we consider the size of and its high ground clearance the, car is typical of an offroader and that to off a true 4x4 SUV. Though India won't be seeing any 4x4 trims of Duster. Renault Duster Pictures reveal that it has a sturdy appearance and side profile is all robust. The front grille is all clothed in chrome. 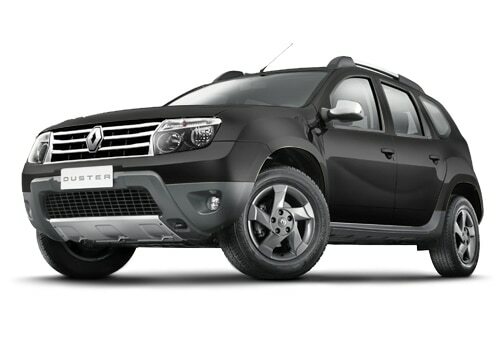 There have been rumors that Renault Duster compact SUV will be available in market with a 4WD option in 2014. The swollen wheel arches are just amusing, the upper curves of the wheels arches touch the front bumper and that seems to give it a more of an extrovert look. The SUV is one of the cheapest to own. Like other Renault Cars this too seems to be carefully tested to promise the performance of the car. Duster has been tested on many uneven terrains to really check whether it stands for what is has been developed. The suspension machine as well the underside has been empowered to have a good body control. The lesser weight of the car has also caused the car to be agile and another factor being a compact SUV has added to it too. Renault Duster Price falls in the bracket of 7-12 Lakhs. Renault Duster also comes in both the fuel types as per your consideration.